The basic question to ask is “Why do we do anything?” The motive, as a detective would call it. 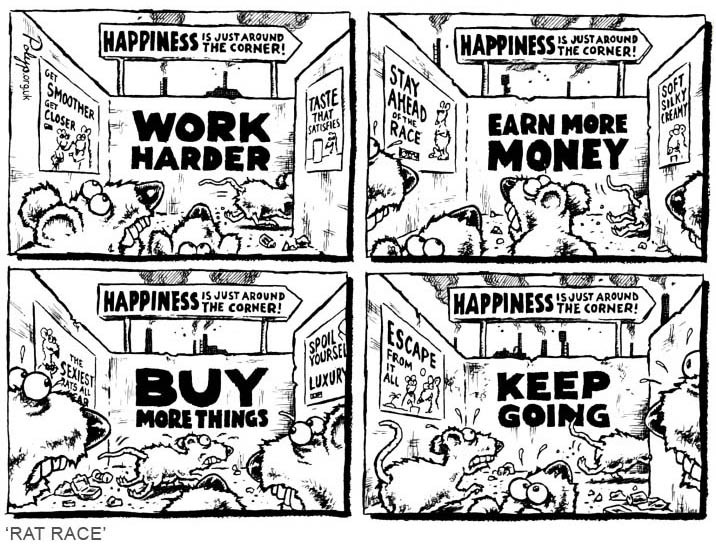 Happiness? Security? Survival? Societal Pressure? May be all of them, and more. The more internal the reasons, the more you are one with whatever you are up to. For me, the reasons were very selfish. Fear of security and conformity has been very low, all my life. Contrary to what people think, this is neither courage nor showing-off. It is simply a lack of dependence on material things. My definition of security has a very low threshold. I have constantly looked for ways to strike a balance between things I want to do and things I have to do for a living. I tried to stay committed to a job (which mildly interested me and paid me well) to fund the things that I want to do – travel, read and travel some more. But sooner this motive wasn’t enough for me to work for something I absolutely didn’t care about. I jumped careers and it was a frugal time. I cut down on ‘luxuries’ and realised I never really cared about them. Well, most of them! And that brings us to the next question. “How much do you need to survive?” Policy makers have been debating it ad nauseum. But I don’t want to put a figure to it. It is an attempt to just evaluate my “must-have-can’t-live-without” list. Our idea of a good, accomplished life has been so painted by the images, advertisements, stories, and generations of conditioning. Most must-haves are subconscious conformity. When Jeet and I decided to volunteer-travel and adapt to this bohemian lifestyle, there wasn’t an iota of doubt. Yes, we do plan consciously. We choose small towns and villages. We always mention that we will need food and shelter in lieu of volunteer work. And we do have an online assignment which pays us what is less than the fuel expenses of a car-commuter in Mumbai. One of the main reasons of this surety, however, was that we are qualified enough to get a job in case all goes wrong and anti-social enough to not worry about working as a waiter/ess in a cafe. But the main one is that we simply do not care if we can’t afford to dine at a high-end restaurant or don’t have more than 6 pair of clothes in our wardrobe. Our stints so far have been going wonderfully well. Every one is kind and we are really loved. Sometimes I feel that when you reduce the “money factor” in an equation, it is replaced by kindness. It might not be possible to come entirely out of this man-made system of economy, but the more you dissociate yourself with mainstream consumerism, the more clearly you find your motive. Here is to dreams beyond the matrix. Nice subject. Good minds. And very well written indeed.